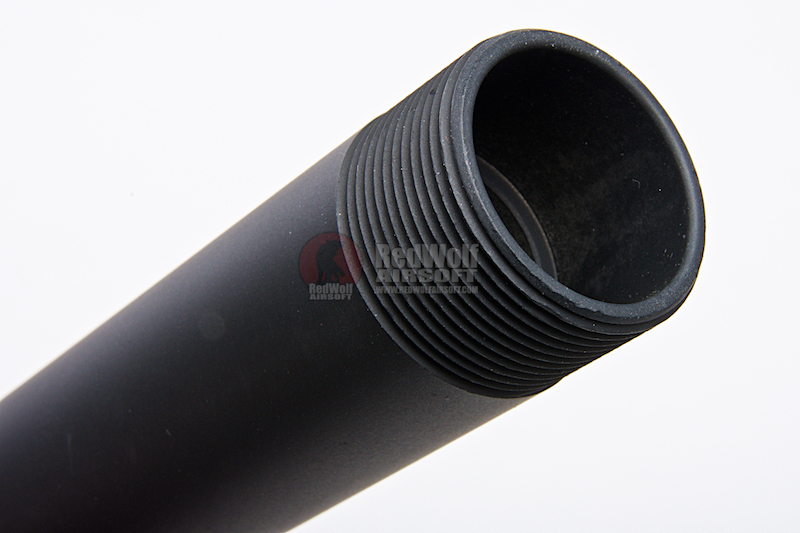 To enrich the whole shooting experience, Ares have introduced 3 types of Outer Barrel for their newly released Amoeba AS-01 'Striker' sniper rifles. 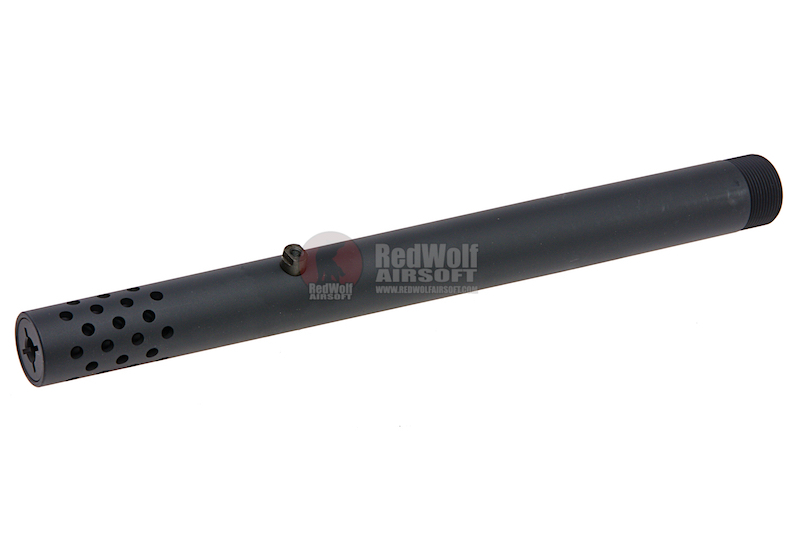 This particular version is the Integrated Muzzle Brake Outer Barrel which adds a very stylish element to the Striker series. 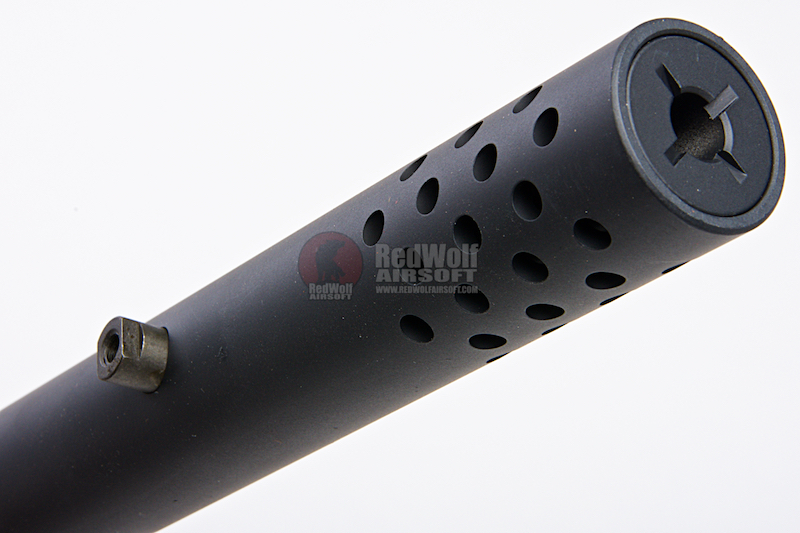 This outer barrel is shorter but it doesn't reveal the tip of the inner barrel. 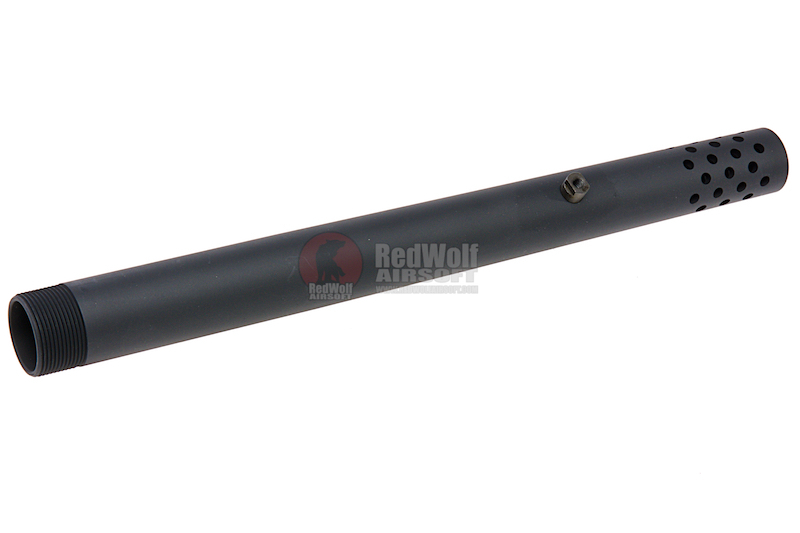 At the end of the barrel is a 23mm CW thread for their mock suppressor. 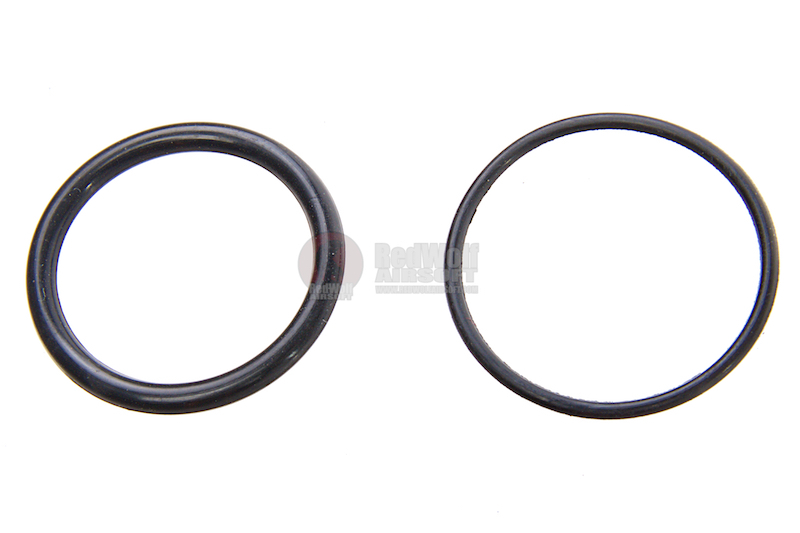 You can also purchase their 14mm CCW thread adapter if you prefer alternative aftermarket parts.